SISTER CLUB: Shincliffe Partner Up With Wildcats! 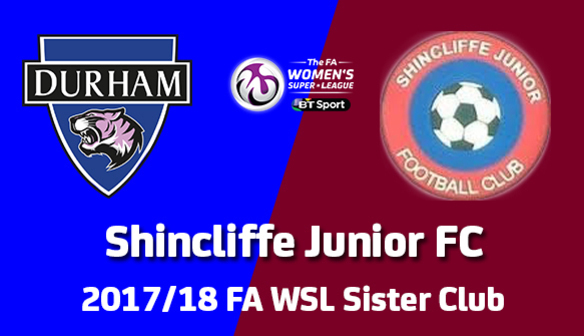 Durham Women are delighted to announce that Shincliffe Juniors have become the third club to join our Sister Club Programme! After Durham United and Washington NSG Athletic both signed up last week, local club Shincliffe Juniors have now joined the ranks and will benefit from a host of initiatives as part of our FA WSL Sister Club Programme! The FA-backed programme was launched in July and has attracted great interest from the North East and further afield, with more sides still to announce! Our third recruits, Shincliffe Juniors FC, were founded only six seasons ago and in that short time have continued to grow. They started with under 30 players and now have more than 100 boys and girls registered. For the forthcoming season Shincliffe JFC have registered 13 teams to play league matches and also has a thriving FUNdamentals development group with children as young as four. The majority of the teams are registered to play in the Russell Foster Youth League and for the first time this season Shincliffe have entered two teams in the Durham County League. Shincliffe provide opportunities for children to have fun and develop in a welcoming, encouraging environment. The Club follows the FA England DNA development plan and playing philosophy and allows all players to develop at their own individual pace, with the Club committed to growing and nurturing grassroots football and making it as widely available as possible. At present, Shincliffe JFC has 2 girls teams, 5 mixed teams and 6 boys teams. Shincliffe were recently awarded a Football Foundation 'Grow the Game" grant which has allowed the development of the second girls team, and an under 15 boys team. The hard work and dedication of both volunteers and players at the club has been rewarded with Shincliffe Juniors receiving the FA Charter Standard Club of the year in 2015/2016 season, and more recently the FA Respect Award for 2016/2017. You can find out more about the club on their Facebook page. The side will enjoy their Sister Club Day at the FA WSL fixture against Oxford United on 1st April, while all their junior players will be able to benefit from free admission to our fixtures, tournaments across the season, player visits and open training sessions as well as much more! 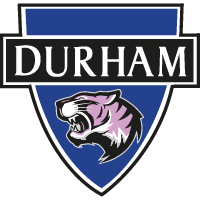 Commenting on their decision to join the programme Club Secretary, Sara Clasper, said: "We are very excited to be working with Durham Women FC through the FA WSL Sister Club Programme. "It creates even more opportunities for players, coaches and parents to engage with the game they love and will provide excellent support as our Club continues to grow. "We are delighted that our young sportswomen and sportsmen will be forging a relationship with a local Club playing football at an excellent standard!" Mark Donnelly, Durham Women's Sister Club Programme Officer, added: "We're delighted that another local team has decided to join our Sister Club Programme in Shincliffe JFC. "They're a fantastic junior club who have shown a great commitment to growing girls football, and football in the general, in the county and we're excited to see how we can support that moving forward. "We've not got three fantastic and dedicated teams on the programme for next season and we've still got more teams to announce - all of whom we're extremely looking forward to working with."